June 8 –A free street party at the Community Center kicks off the 35th festival. Beginning at 3 p.m., enjoy a variety of food choices, children’s activities, games, and artists that call Bartlesville and Oklahoma their home: YouTube sensation Anne Reburn, Indie-Pop duo “Breakup,” — featuring Bartlesville alumni Abby Callaghan–, Stillwater local Isaac McClung and Folk group “The Arcadian Wild”, featuring Bartlesville alumni Paige Park. 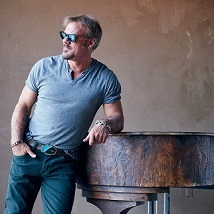 At 7 p.m., attendees go indoors to the Bartlesville Community Center for a country-themed concert, featuring Brent Giddens Band and Phil Vassar as he brings his Hitsteria tour to Bartlesville. Several free Showcase concerts bring even more diversity to the festival. From June 10-13 in various church venues, delight in the Ad Lib Singers, Harmony Project Tulsa, the Daytime Divas, and the New Tulsans. Other showcase events include a concert at Prairie Song in Dewey and a traditional English Cottage Tea with Diane Fallis. On Wednesday, June 12, Steinway Pianist Jenny Lin will be presenting “Melody’s Mostly Musical Day” at the Bartlesville High School FAC. This is a must-see event for the entire family.OKM is also collaborating with the Salvation Army for its third annual Summer Conservatory during the festival and during the month of June.